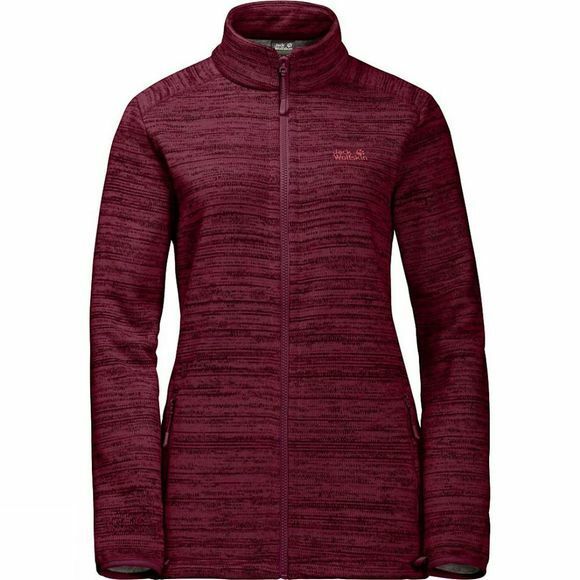 Day hikes in the lower ranges, hut-to-hut tours through the Alps or a long haul trekking trip to New Zealand–the Womens Aquila Altis Jacket from Jack Wolfskin is a practical insulation piece for all your adventures. It keeps you warm and cosy during rest breaks or sitting outside the hut in the evenings. Wear it under a hardshell as an insulating liner, and you have a full-spec winter jacket. The regular system zip allows you to combine the two jackets easily.